Buy Easy To Operate Commercial Onion Potato Chips Mushroom Slicer Machinery Yam Slicing Machine - Jinan Joysun Machinery Co., Ltd. 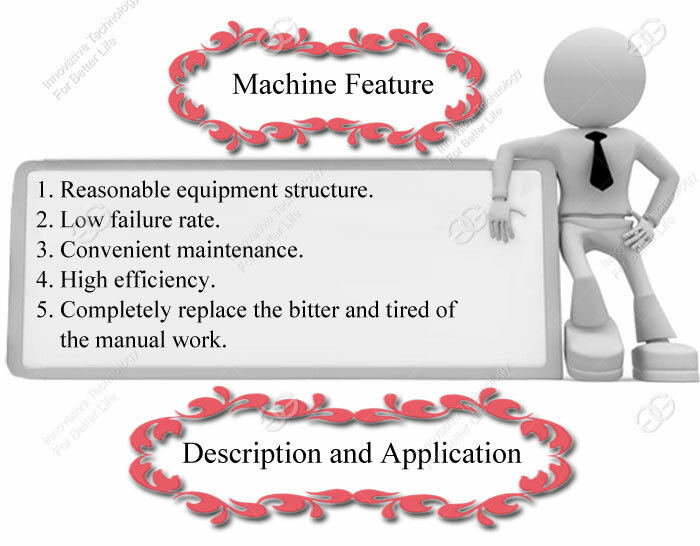 The Yam Slicing Machine has reasonable equipment structure; low failure rate; convenient maintenance. 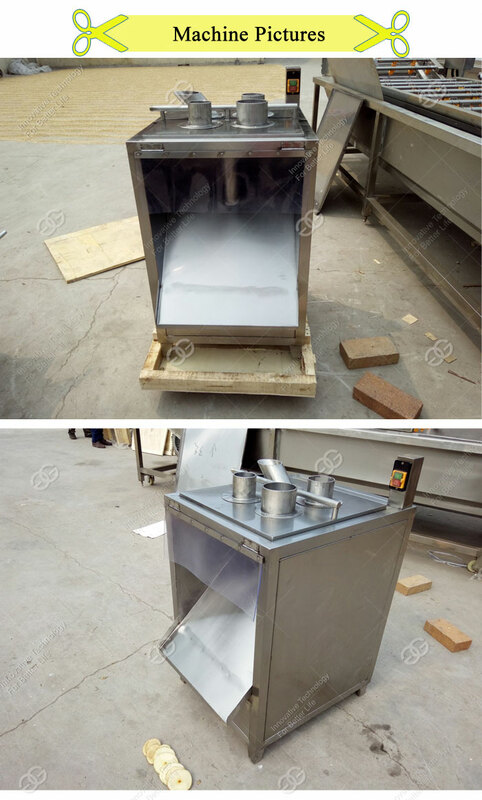 Which make it become a new ideal equipment for food export processing enterprises, frozen enterprises, vegetable processing enterprises, supermarket and hotel processing kinds of fruits and vegetables. 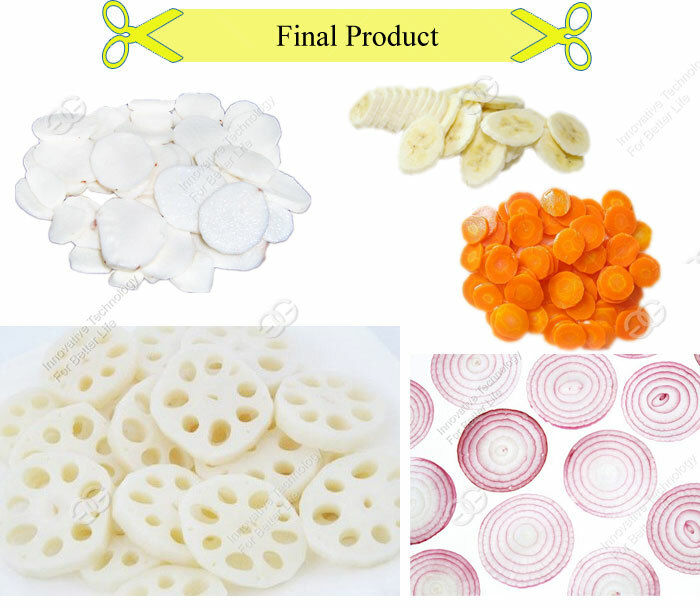 The Yam Slicing Machine is used for cutting circle, pieces for potato, sweet potato, cucumber, balsam pear, lotus root, eggplant, banana, apple, taro slices and other stem, rhizome sections of fruits and vegetables. The Yam Slicing Machine's cutting products are neatly shaped. The cutting thickness is adjustable, the minimum thickness can be 2mm. 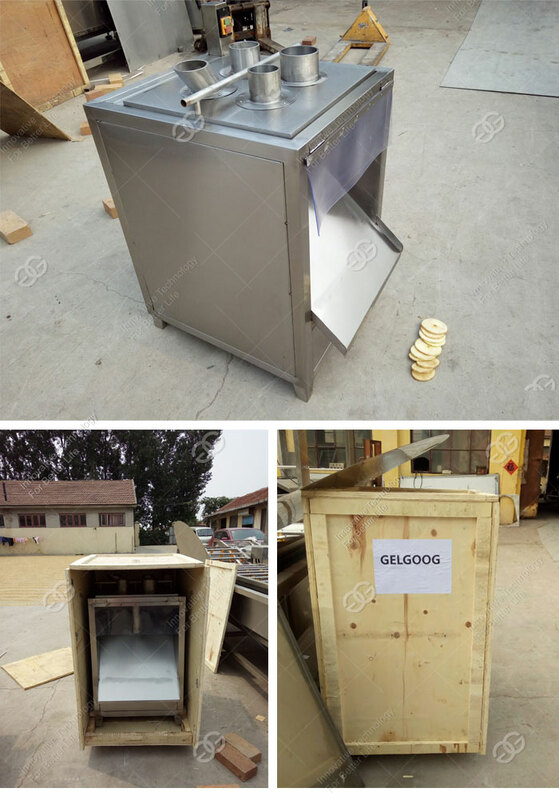 We have adopt EXPORT STANDARD WOODEN CASE for packaging and long coorperated vessel company, which can ensure The Yam Slicing Machine can reach your side smoothly! One year warranty time, from the date which the product is qualified commissioning. Any damage except the wrong operation during warranty period is repaired freely. But the travel and hotel expenses should be count on buyer. We accept multiple terms of payment, such as L/C, T/T, Western Union, Money Gram, Alibaba Tade Asurance. 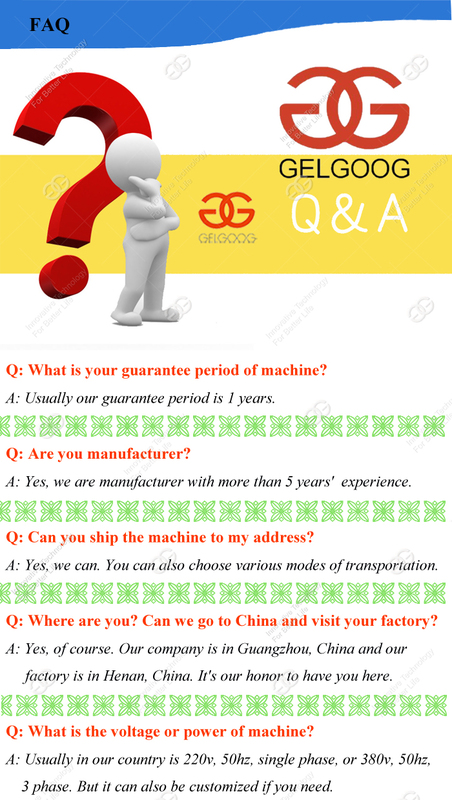 Guangzhou Gelgoog Industry &Technology Co., Ltd. founded in year of 2010. We mainly engaged in producing all kinds of Frying Machines, Potato Chips Product Line, and other Food Processing Machines. We located in Guangzhou city, the capital of Guangdong Province in China. Our company has many years export experience in machinery. We have outstanding quality control personnel as well as we trained technical worders. By constant technical exchange with the well known firms of the same line and also by introduction of advanced management into our company, we have established a strong quality guarantee system. From the very beginning, our company has been persisting in the tenet of pursuing brilliance and the managing idea and developing with customers. In our management, in adheres to the principle of whole hearted attitude, good credit, excellent quality and perfect sercice, sales and after service. 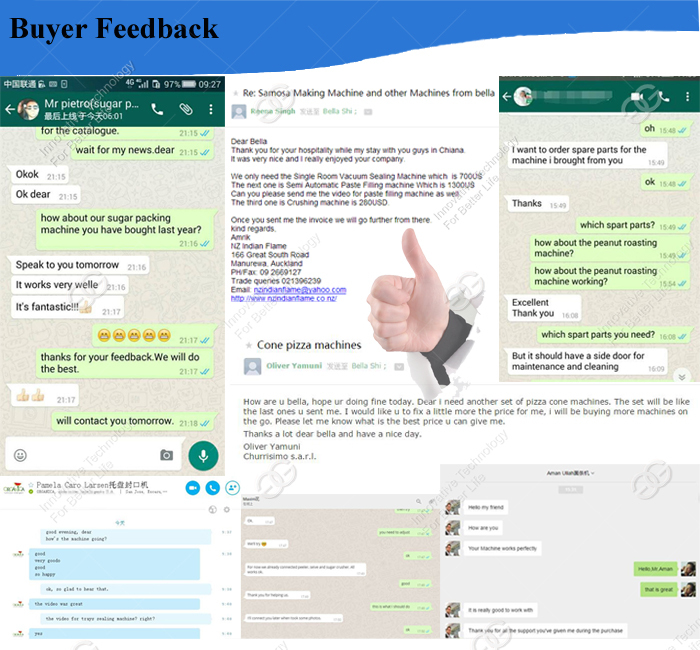 So we have won great popularity and reputation among our customers. We have on the basis of domestic market, developed international market and established a sales network throughout the world. Our products are sole very well throughout China and are also introduced to South – east Asia, Eastern Europe, and Africa. Our market share is increasing each year. 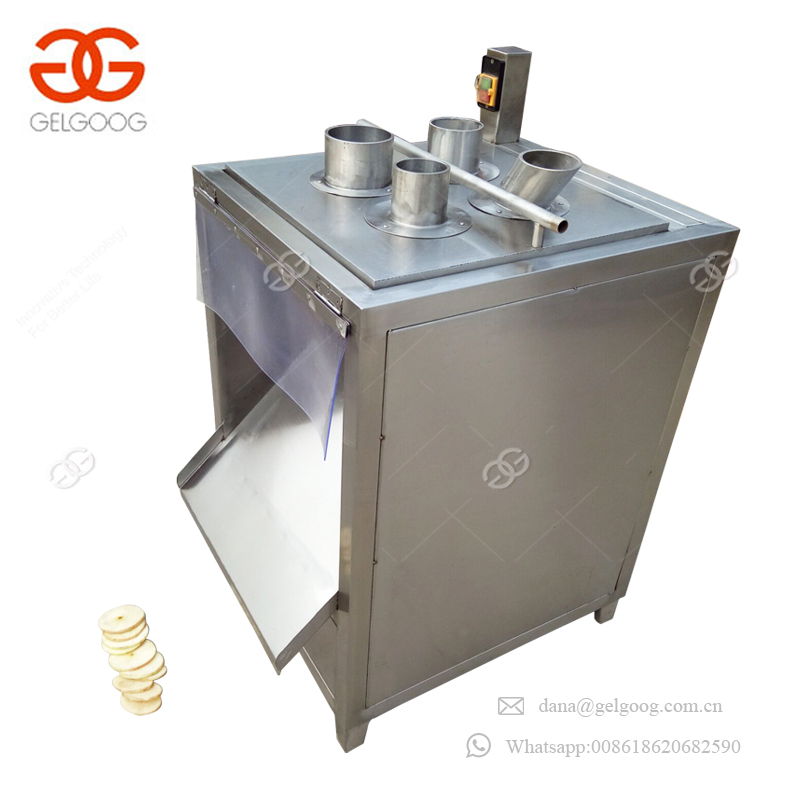 Guangzhou Gelgoog Industry & Technology Co., Ltd. will go all out and make innovations to contribute to the development of our nationl industry together with those companies in the same line.